The General Relativity group of the University of Southampton's School of Mathematics has been awarded a rolling grant worth £1.7m by the Science and Technology Facilities Council. The award firmly establishes the Southampton group, led by Professor Nils Andersson, as one of the leading research groups in classical general relativity and gravitational wave modelling in the world. Over the next five years nine researchers will study likely sources of gravitational waves, one of the most fascinating predictions of Einstein's general theory of relativity. Gravitational waves are ripples in space and time that Einstein predicted should be emitted whenever massive objects are accelerated. They travel at the speed of light and distort everything in their path. Fortunately these waves distort objects the size of humans by only 1/100,000,000,000,000,000,000 (one hundreth of a quintillionth) of a metre. This is why it has taken decades of effort to reach the stage where detectors are now on the verge of being able to see these waves and so test whether Einstein was right. Despite their tiny size, gravitational waves are of revolutionary importance. Their detection will not only provide strong support for Einstein's general theory of relativity, it will also open up a whole new field of astronomy. Professor Andersson comments: "Gravitational wave astronomy provides a probe of the very extremes of physics, and promises to transform our understanding of black holes, neutron stars, and perhaps the origin of the Universe itself. The waves will allow us to probe "dark" matter in the Universe, in ways that are not available to current astronomers. To reach this goal we need both highly sensitive detectors and accurate models of some of the most violent phenomena in the Universe." The five-year research programme at Southampton aims to provide theoretical models of the most likely sources of detectable gravitational waves: quakes on neutron stars, collisions of neutron stars that ultimately lead to the formation of a black hole and the capture of stellar objects by gigantic black holes found at the centres of galaxies. These models will predict the tell-tale signatures that experimentalists in Europe and the USA should look for in their data as they seek evidence of the presence of the elusive gravitational waves. 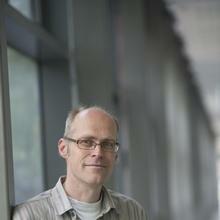 Professor Nils Andersson is a Professor of Applied Mathematics at the University of Southampton.